JUNEAU — The fight over the Alaska House budget, which had been lurching into paralysis, culminated Thursday in an extraordinary decision by the new majority to cut off debate and get the measure moving again. The vote, initiated by House Rules Committee Chair Gabrielle LeDoux, R-Anchorage, gave members another 24 hours to consider a towering pile of amendments offered primarily by the Republican minority, but also by LeDoux's majority coalition, which is mostly Democrats, plus a few Republicans and independents. Coalition leaders said they reached their breaking point after spending three days to get through 50 amendments, with at least that many more expected. The House spent 2 1/2 hours Thursday morning on a single amendment to cut lawmakers' daily expense checks — a stretch that saw minority Republicans submit three handwritten amendments to the amendment, one of which, from Eagle River Rep. Dan Saddler, aimed to move the Legislature out of Juneau. "We actually have a fiscal crisis and we need to be doing other stuff," LeDoux told reporters at a subsequent news conference. "We let this play out for as long as it seemed reasonably prudent. And now's the time to determine: What are the most critical elements of this debate?" Minority members quickly held their own news conference in which they accused the coalition's leadership of ignoring their ideas for spending cuts, curtailing their First Amendment rights and shirking budget work so they could attend an evening seafood reception this week hosted by the City of Unalaska. "For them to say now that they're focusing on the budget, that's baloney," said Rep. Charisse Millett, R-Anchorage. The blowup seemed, at least temporarily, to refocus the House, which plowed through more than a dozen amendments in the afternoon. But it also served as a vivid display of the ideological gulf that separates the minority from the majority when it comes to the budget. Majority members are eager to approve their $4.2 billion spending plan so they can advance measures that do more to close the state's deficit of nearly $3 billion — including oil tax increases and a bill to institute an income tax and divert Permanent Fund earnings to state government. Majority leaders said they wanted to make surgical cuts alongside the new revenue measures. But they couldn't find many and ultimately sent a budget to the House floor that was $29 million higher than Gov. Bill Walker's preliminary version. The cuts sought by Republican minority members would close a small fraction of the state's deficit. 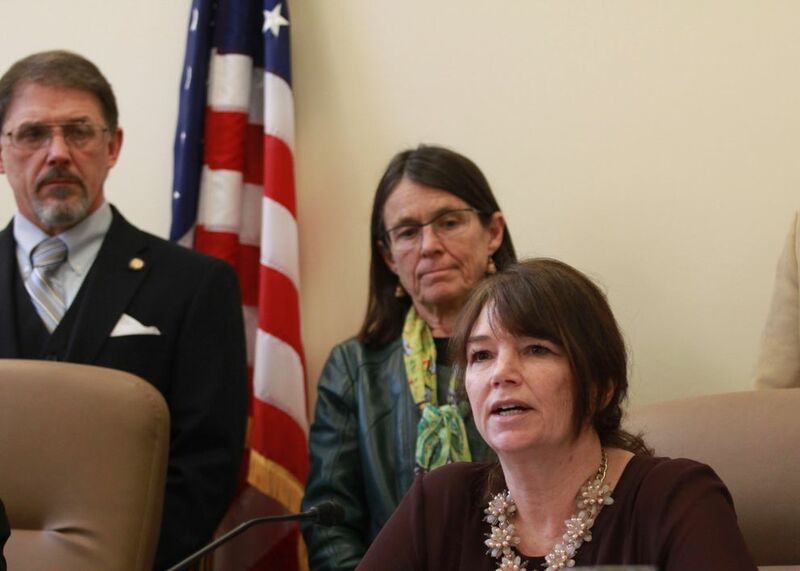 But they said Thursday they were unwilling to advance to talks about taxes or restructuring the Permanent Fund — a step that would reduce Alaskans' dividends — without a smaller budget. "We came down here to reduce the size of government," Millett said. "And that's what we plan on doing, first and foremost." Frustrations had been building on both sides before Thursday's dueling news conferences. The Republicans have suffered through a string of indignities since the end of last year's legislative session. First, they lost their majority in the House, costing them the larger offices, extra staff and other privileges of power their caucus had enjoyed for decades. Then, the new majority coalition found a way to take away the keys the Republicans thought they held to the state's primary savings account, the Constitutional Budget Reserve. The reserve takes a three-fourths vote to crack open, and the 18-member minority caucus expected to use their votes to extract budget concessions from the 22-member coalition. But Homer Republican Rep. Paul Seaton, co-chair of the House Finance Committee, proposed to fill the deficit with Permanent Fund investment earnings instead — a maneuver that can be approved by a simple majority of 21. The Republicans then drafted more than 300 budget amendments for debate in the House Finance Committee. But Seaton combined more than 100 into a pair of batches that could be dispensed with two votes. 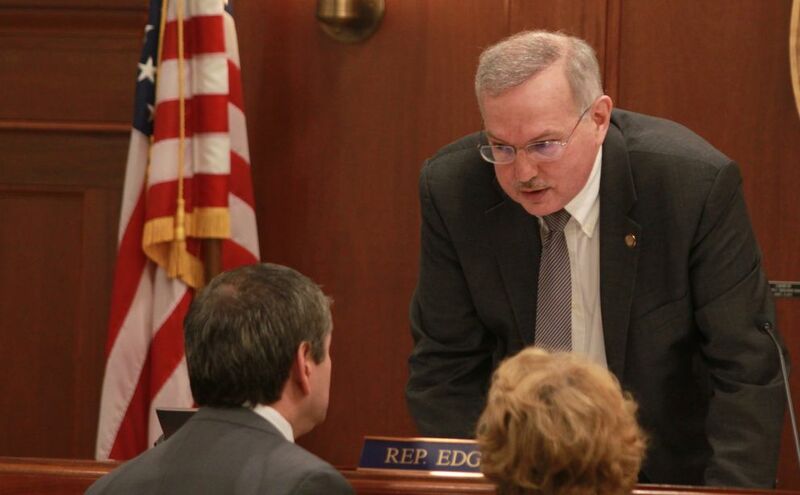 That leaves floor amendments as Republicans' only remaining leverage, said Craig Johnson, a former Anchorage representative who was part of House GOP leadership last year before losing a bid for state Senate. "This is it. It's all they've got. There's no more negotiations," Johnson said in a phone interview. He added: "I think there's probably some frustration." The majority, meanwhile, has seen its deficit-reduction proposals delayed and its committee hearings postponed as members, in their first year in power, contend with Republicans' amendments. The more than 100 budget amendments expected this year far exceeds the number drafted in each of the past 15 years, with no more than 32 a year since 2003. Saddler's proposal to move the Legislature — an amendment to an amendment — seemed to provoke particular indignation because it was written as "intent language," which courts have generally held to be unenforceable. "It's my intent that NASA can no longer serve Tang. Can I add that, Jason?" 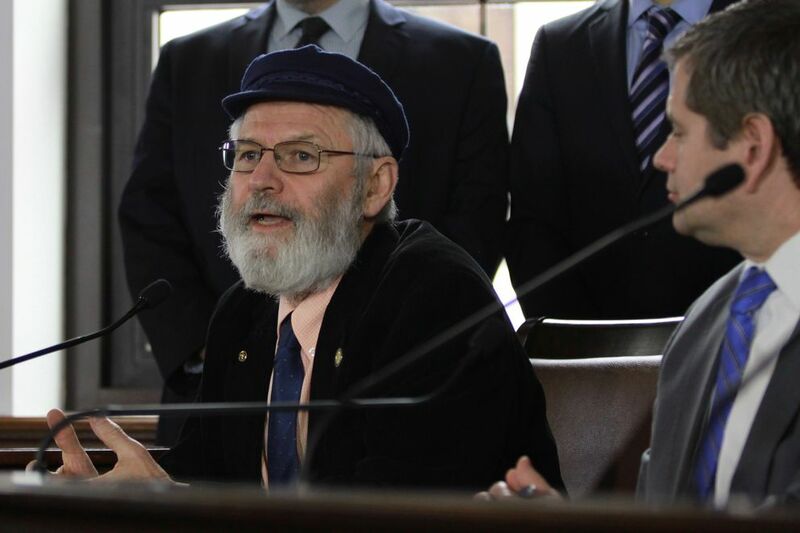 a facetious Rep. Les Gara, D-Anchorage, asked Rep. Jason Grenn, I-Anchorage, whose amendment to cut lawmakers' per diem payments was the target of Saddler's proposal. "I just had a simple budget cut!" Grenn said. Republicans pointed out they weren't the only ones slowing things down. Coalition members have proposed their own floor amendments and occasionally engaged the minority in robust debate — breaking what more than one observer described as the Legislature's Golden Rule. "The Golden Rule is: When you have the votes, vote, and when you don't have the votes, talk," said Andrew Halcro of Anchorage, a former House member. "Let them get it out and propose their amendments and make their arguments. Don't feel the need to stand up and debate every amendment."